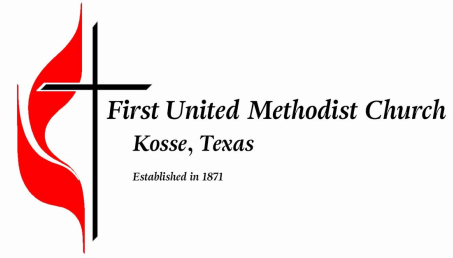 ﻿Welcome To First United Methodist Church in Kosse, Texas! ﻿Established in 1871, we are dedicated and committed to being and making disciples of Christ! ​We invite you to join us this Sunday for worship and fellowship!